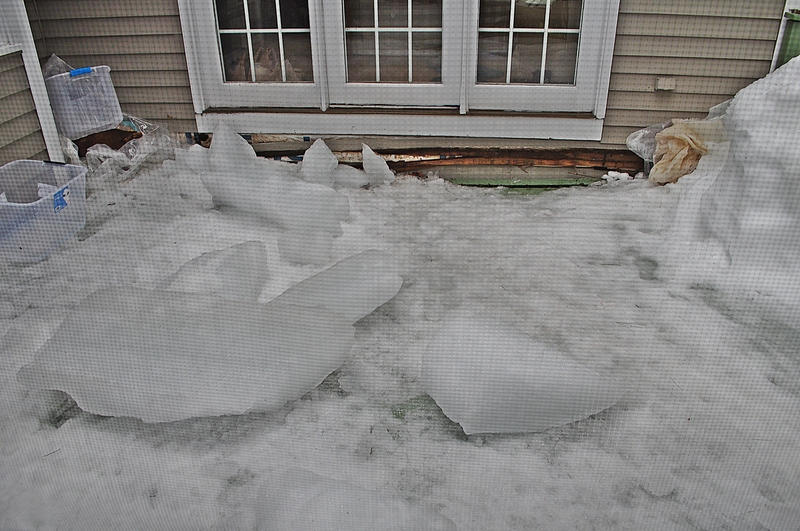 This morning I took pictures of the hundred pound hunks of ice that slid off my roof and splintered our wood deck, to add to the pictures of the water-swollen ceiling that we punctured with a turkey baster to prevent it from collapsing in the night and killing our dog. 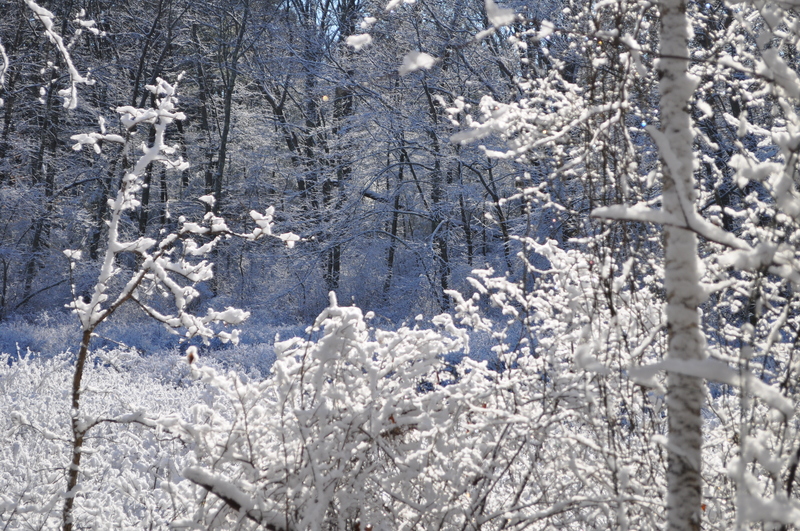 As I drove to work, the sun glittered through a canopy of ice-spangled trees. Last year this morning landscape would have taken my breath away, but today the snow feels like a predatory beast that crushes roofs, creates car accidents, and leaves potholes that make my street look like a mine field. Fifteen foot icicles that I would have found enchanting last December evoke a piercing sorrow in my chest for everyone who has lost barns, ceilings, savings, gas lines, cars, even lives to the snow. When I’m not projecting myself into the hearts of homeowners with ice dams, I’ve been working on a talk for this year’s Associated Writing Program Conference on speculation in literary nonfiction. So I’ve been thinking a lot about truth and speculation, and how slippery and elusive truth is, which has led me to wonder about the parallels between truth and the once-beautiful ice. Truth is relative, philosophers advise, and the Greeks realized that beauty is in the eye of the beholder in the 3rd century B.C. My experience with this winter’s snow tells me that beauty is not only dependent upon the beholder, but that the beholder’s perception varies. Not only does the beholder count, context counts. And yet, despite the variability of subjectivity, truth and beauty are not a free for all. There’s something that feels hardwired when we recognize truth and gape at beauty. Some things are not true. We recoil at obvious lies because humans need to live in community, and thus, to trust one another. But the impulse to seek an advantage in the evolutionary game of survival-of-the-fittest makes for a constant unsettling dynamic between trust and guile. Some things are ugly. We naturally recoil at excrement, infection, and blood and guts. No doubt this is protective: excrement and infection can make us sick, and blood and guts is usually sign of danger or death. But there are exceptions, a surgeon seeing through a different lens admires a beautiful a line of sutures as a work of art. Where I might see pain and destruction, she sees a stitching toward life. To return to the snow— I used to see snow as a gentling of light and shadow, a time when things slowed down and nature’s rhythms became more pronounced, stirring and quieting me. Snow reminded me of the continuity of seasons and life. It turned, and beauty drained from the snow banks, when I started seeing them as pernicious and dangerous. “Beauty is truth, [and] truth, beauty,” wrote John Keats. But when I ask several of my artist friends what they think, none of us are ready to declare them equivalents. The palpability, magic, mystery, and elation we feel in the presence of truth and beauty seems to involve a weaving of disparate elements into a coherent whole, but there still seems to be a difference. Beauty starts with perception; the harmonious relationship of elements seems to be outside of the self, and then is confirmed by every nerve in my body. To perceive beauty I must open myself to the world, or a piece of art, or a passage of text. In that moment of perceiving beauty I am married to the work. In contrast, my recognition of truth starts within—I feel sensations piqued by various facts, impressions, and emotional fragments align to confirm that this (whatever “this” is) is true; this is reality. And the “this” refers (at least in part) to something in the external world. Beauty feels like it comes from outside the self; truth feels like it comes from within. We cannot consciously capture all that we perceive, or all that we are, but in an experience of truth or beauty for a moment we are at one, the world is at one, we are at one with the world and simultaneously aware of the whole and the parts. Of course what is true, coherent, synchronous and harmonious in one moment and context will not be in the next. Today the snow is dirty and I am not happy with my writing. 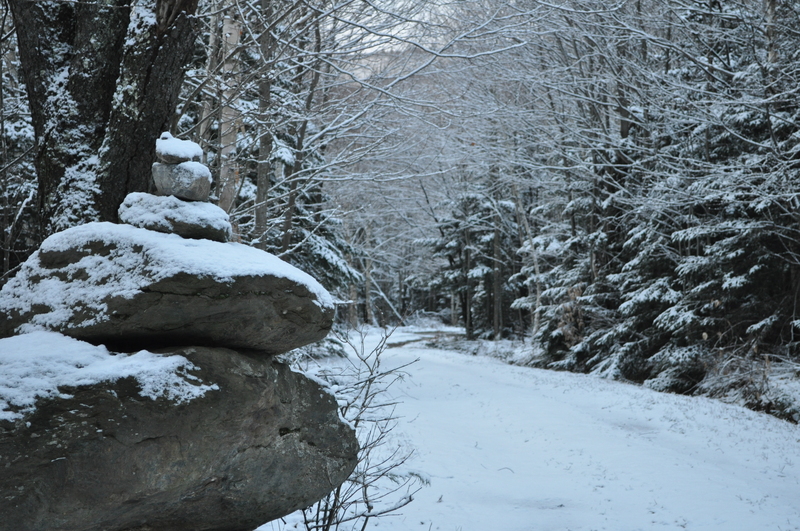 To find beauty in winter or in words, I will have to look, perceive, reframe, and open myself up again. As frustrating as this is, it assures me that neither the search for truth, nor art, will ever end or die which is as good a place as any to begin a blog so intimately committed to both.